Another weekend, another major event to review: this time, GP Phoenix. The paper metagame continues to be hard to pin down. There are significant changes from SCG Dallas which muddy the waters and makes any projection difficult. There appear to be some trends forming but anything can be a trend when you only have two data points. I stand by my prediction that it won’t be until GP Hartford that we have a clear picture of the metagame and that prediction is looking good. Before anything else, some congratulations are in order. Denver area players Sung-Jin Ahn and Vikrum Kudva Top 8ed, bravo gentlemen. I expect to never hear the end of this, especially from Sung-Jin. He’s been playing Valakut decks for as long as I’ve known him, and desperately trying to make Bring to Light work. It didn’t, and I regularly crushed him at every event until he gave up on his pet. He got partial revenge already; he was the Valakut player I lost to in the finals of the Week Six PPTQ. Now he’s got a GP Top 8, and I’m eating crow. As for the rest of the tournament, I was told by a number of other Denver area players who went that there was a lot of non-Tron ramp Day 1. There were some tweets to that same effect in the Twitter feed, so I’ll believe them, though they may have actually been referring to Tron. This is surprising to me, as I lived in Arizona for a while and remember Phoenix being a very control-heavy meta. I guess things change. In any case, Day 2 was very different from what the players were telling me about Day 1. I didn’t think that Wizards was going to post the Day 2 data, considering how they’ve been about data releases. I was pleasantly when it was posted in the wrap up article. And then very confused by what I saw. I’m not reposting the chart, just follow the link. There is considerable stratification in the data. Burn is the most represented deck by a large margin, boasting 28 copies to Jund’s 22. There is another steep drop from Jund down to BR Hollow One and Humans at 16. The next drop is by three, down to Mono-Green Tron, after which the line smooths out. The fact that Hollow One, Burn, and Tron were popular is very interesting. All are considered to have favorable matchups against Jund, which is the second most popular deck. Whether this actually means anything is hard to say. Player tend to play their decks regardless of metagame, and this could easily be a prime example of that phenomenon. It could just as easily metagaming. I’m also interested in the UW Decks. Jeskai had a better overall showing last week, and was certainly spotlighted more often during coverage. However, Jeskai was a non-presence in Phoenix. They’re much faster and arguably more interactive at the expense of individual card impact compared to UW, but it seems like that’s what players prefer. To me that suggests an expectation of Tron and Jund decks, as UW has better matchups there. This is another deviation to watch. Bloodbraid Elf made up a significant portion of the Day 2 field. I don’t have all of the decklists, so I cannot be 100% certain, but I would expect Jund, RG Eldrazi, and Ponza to all play four copies of Bloodbraid. Every list I’ve seen certainly does and I cannot fathom why these decks, or indeed any deck that could, would not run a full set. According to Wizards’ data, these three archetypes account for 40 decks, or ~16% of the field. That is a large chunk, and it could be higher. I have no decklists, but the listed Zoo variants, Traverse Shadow, Temur, Kiki-Chord, and 4-Color Saheeli lists certainly could run Bloodbraid, and I’ve seen lists that do. The one Elves deck in the Top 32 actually did and there’s no reason the other two couldn’t as well. This at minimum means that the actual saturation of Bloodbraid is really 17% and could be as high as ~23%. Bloodbraid Elf is extremely powerful and if you have the option to play it, there’s no real downside. It doesn’t take much to see that every deck benefits from casting two spells a turn. It’s why Bloodbraid is seeing so much success right now. How long that will last or if it will be problematic is impossible to say. Having an overall high amount of representation to the point that nothing else was possible in URx was what got Splinter Twin banned. It wasn’t that UR Twin was so much better than every other deck, it was ultimately that the spectrum of Twin decks was too great. If, and it is a big “if” at this point, Bloodbraid becomes a problem, it may fall the same way. Jund doesn’t currently appear to be too good, but Bloodbraid being ~20% of the metagame might be. The real data is not Day 2 but the Top 32, and the data here is very interesting. In Dallas, the Top 32 followed the Day 2 reasonably well. For the most part, decks that had good showings in Day 2 also placed well in the Top 32. The order changed considerably, but the decks themselves stuck around. That is not true of the Phoenix results. The top three decks have all dropped off significantly. Humans stands head and shoulders above the rest of the field, followed by Affinity, rising from the middle of the pack. This is not at all what I would expect. There are nine decks that have Jace, the Mind Sculptor in the Top 32. Yes, most only have two copies, and Taking Turns only has one, but Jace is there nevertheless. Meanwhile, there are five decks with Bloodbraid Elf, and it is a four-of in every case. Jace is certainly more problematic in multiples, and often can’t be played early and be meaningful. In any case, this pushes back on the narrative that Jace doesn’t have a home and isn’t impacting Modern compared to Bloodbraid. I think it likely that Jace’s effect is simply more subtle. It may see more play throughout the metagame, but won’t place as many copies as the Elf. At one point, Affinity was everywhere, both on the wider metagame stage and in my LGS. However, we didn’t see a single copy last week, and only saw a few in previous months. Every regular pilot I know gave up on the deck back in December. Hate was everywhere and there were too many bad matchups. The deck has maintained a high position in the metagame thanks to online results, but not a very visable presence in paper. There are many possible explanations, but recall that linear decks appear and disappear in cycles depending on the hate. Artifact hate is typically high, but in light of Lantern Control and Affinity declining, it appears that players neglected their hate. Looking at the decklists, I certainly don’t see many Ancient Grudges or Stony Silences. This is also a plausible reason that Ironworks did so well. Burn put the most copies into Day 2 and not a single member into the Top 32. That is a huge flop. This is the same thing that happened in Dallas, and I’m not sure why. 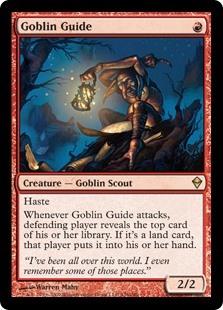 The metagame certainly doesn’t look unfavorable and I don’t see many anti-burn cards anywhere. Burn is a fine deck and powerful in its own right, but it thrives against greedy manabases and durdly decks as a predator. I see plenty of decks that fit that description, so I think that there may be a problem with Burn. Two consecutive tournaments where Burn had a good population in Day 2 and failed to turn that into a good Top 32 suggests that the deck lacks the power necessary to close the tournament. Burn can be fragile in the face of the right interaction at the right time. This is something else to watch, as if this keeps happening it will be necessary to rebuild the deck. As with the Dallas Classic, Humans took the top slot. It also won the Grand Prix. Admittedly, Steve Locke did get very lucky in the finals when his opponent got mana screwed and unfavorable Dark Confidant triggers. However, that doesn’t diminish the work he did to get to that point, nor the success the deck had in the overall tournament. I would not have expected Humans to do well; the Jund matchup is not great, and neither is Affinity. Yet it got there nonetheless, and with fairly standard lists as far as I can tell. If Dallas was about Storm, then Phoenix was about anti-Storm. Humans was designed as a Storm killer, and it does do that, but it has considerable game against the entire field. A fast clock with intrinsic disruption is very potent. The fact that Jeskai relatively fell off may also have been a factor. Piles of cheap removal are very good against both Humans and Affinity, so UW being more popular helped their rise. The overall field of the two events was very different, though, I’m not sure that’s relevant. Phoenix was a much larger tournament, after all. Still, the fact that the answer deck for most popular deck from Dallas was the most popular deck this week is fascinating. I believe that players are picking up on the linearity cycle and exploiting it. Affinity and Ironworks combo appear as if from nowhere after months of silence, and aggro in general returns after a tournament focused on combo and midrange. I think players are gaming the system and the next event will be defined by the reaction to this one. When aggro and artifacts dominate, hate and removal come out to play. This strongly implies that players will go for ramp for SCG Milwaukee. Whether you think you can take advantage depends on how willing you are to metagame. And whether you come to the same conclusion. Trying to extrapolate anything about specific decks from the current data is a losing effort. There’s too much variance and too few data points to come to an accurate prediction. It is a safe and also unhelpful bet that there will be more Bloodbraid and Jace decks now that the exploratory phase is finished and lists are coming together. If you’re going to SCG Milwaukee as I will, be prepared for anything. Or people just played what they felt like, ran into miscellaneous matchups, mostly fell in the 45 to 55 percent favoured/unfavoured spectrum and miscellaneous decks did well or poorly mostly based on the inidividual game elements. Sometimes the story is that there isnt a story. Modern is diverse, most things can win, unfavourable matchups mostly arent as terrible as people think. I dont know if you cluster these maybe you see less linear more interactive (ie jace and bloodbraid effect) but the fortunes of individual decks seem fairly muddled. Everything did… ok? That’s what I was getting at, there’s no clear picture and a lot of different narratives. There certainly looks like there’s something here with Humans and Affinity returning when Jeskai is down while Bloodbraid is integral to large swaths of the field, but there’s an equal chance it’s just coincidence. It’s too early to tell. You could try to anticipate the changes, but it may be a complete waste of time. We’ll have to disagree about Bloodbraid, the effect it has on decks and the field is far above Snapcaster’s wildest dreams. Loving the fact that KCI continues to post reasonable results in modern. It’s a wacky fun deck and nice to see once in a while. Phoenix looked like a great tournament. Lots of diverse magic happening and enough of a hint of a ‘deck to beat’ (jund) on the day to enable some light metagaming. Well, such as it’s ever possible to metagame in modern. The said we’re still only a couple of weeks out from the unbans and it’s likely that with the time involved in trading and shipping for new decks, many people are only just getting around to testing BBE at a tournament setting for the first time. This is the difinitive honeymoon period for jace and BBE and we should naturally expect a slightly inflated presence of those cards in a tournament setting. It’ll naturally settle over time. For instance there’s definitely some questionable uses of BBE being seen as she’s jammed into anything going. Scapeshift? Sure I guess, although from a testing and tuning perspective I’d say the longevity of that choice is up for debate. Again I’d expect modern to settle and certain ‘fresh includes’ work their way back to trade binders in the coming weeks. Most of all it’s still modern, still fun and still the most diverse, rep-rewarding format out there. It’s a good time to be playing the format, still. I’ve found revolt zoo to succeed where burn fails. Flooding the board with 2/2s and 3/3 wild nectals is a lot more resilient in the face of lightning helix or collective brutality. Atarkas command is also still amazing despite burn no longer playing it. Interesting observation. Those bushwhacker-fuelled decks are quite different to burn, being “synergy” aggro decks whereas burn is all about redundancy. Burn spaffs a bunch of damage and then is the topdeck king (more or less everything is on plan for dealing damage) . Revolt decks need to do that early rush but then mainly fall flat if their initial wave of damage got outclassed somehow. I like both strategies of course. Definitely both have their place in modern but really they occupy different spheres. Revolt zoo or 8-whack as many call it is more like Affinity, needing to draw beaters and enablers in the right order to bring the plan together. It’s much more glass cannon. I can see why you’d compare them though. Both very aggressive. Burn has more of a versatile game plan overall though and has the option of playing a long game where 8-whack would struggle. Burn will always be the open-meta boogeyman whereas the zoo decks are more of a metagame call and swing in and out of playability.